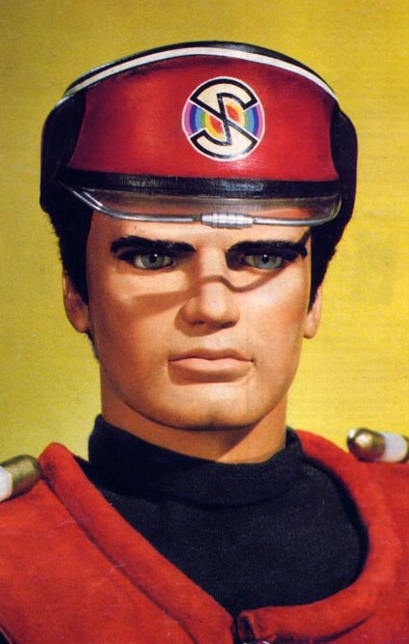 Bangwell Putt made me think about the Lonely Doll books by the enigmatic oddball Dare Wright, and Gerry Anderson’s Captain Scarlet TV series, which were some of the most interesting artifacts of my own childhood. 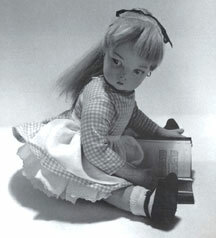 Both creations were based on the photography of dolls as actors in stories. 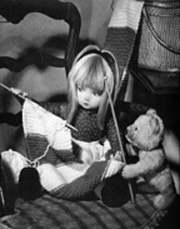 In contrast to Captain Scarlet’s dangerous world of secret agents and faith in technology, Edith and her friends Mr. Bear and Little Bear offer domestic tales in a lower-tech setting in black-and-white still photography. In The Lonely Doll, the first book in the Lonely Doll series, Edith is a felt doll with an extensive wardrobe, and she lives alone in midtown Manhattan in her own apartment with a terrace. The bears just show up on Edith’s terrace one day, and Mr. Bear becomes a surrogate father while Little Bear serves as a surrogate little brother. When left alone one day, Edith and Little Bear discover a secret dressing room full of grown-up women’s clothes that Edith was apparently unaware of although it’s her apartment they all live in. They play dress-up and experiment with lipstick, and when they get caught Mr. Bear administers a thorough spanking (although no one ever explains why Mr. Bear might be keeping a mysterious closet full of women’s clothing and shoes). Once again, it’s not the story that’s so interesting, but rather Dare Wright’s moving and evocative photography of her own childhood doll with the two teddy bears, posed in imaginatively designed sets in Wright’s own midtown apartment. The fact that Edith and Wright shared the same hairstyle in the 1950s and 1960s and had very similar wardrobes is another somewhat disturbing detail–Jean Nathan’s The Secret Life of the Lonely Doll documents all of the ways in which Dare Wright’s creation was very much a projection of herself and her own unresolved family conflicts and childish fantasies. 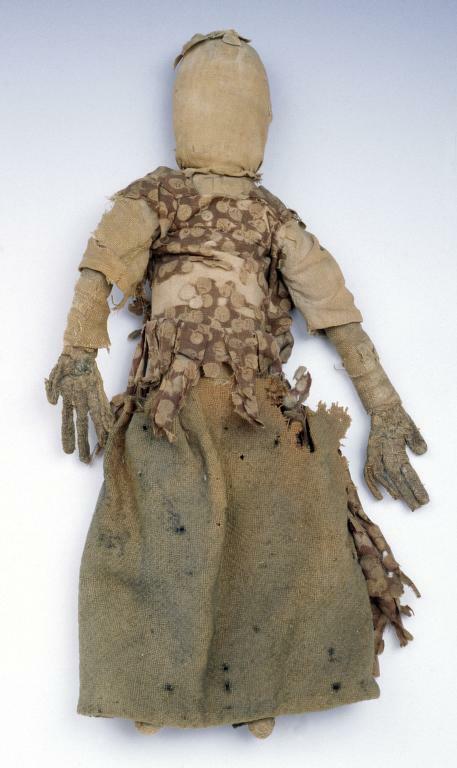 Perhaps dolls (and our memories of dolls) allow us all to work out family conflicts and childish fantasies. All I know is that when my mother got down my suitcase full of old barbies about five years ago, my sister-in-law and I were magnetically drawn to them. We both reached in and started dressing them up, posing them, and making them “walk” and “talk” again after twenty-some years of neglect.